Last week we created a detailed all-in-one post that highlighted the Pixar-related merchandise, screenings, panels and more that you can experience at the 2013 D23 Expo. 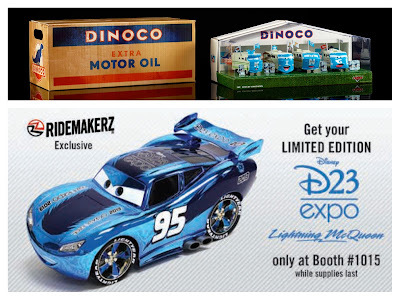 Today we wanted to post additional details regarding two Cars sets that are Expo-exclusives. 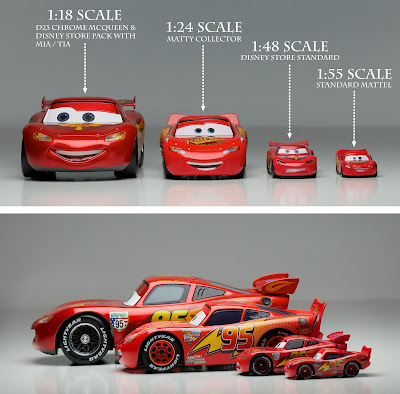 First, thanks to our reader, Kevin, we have additional details surrounding the blue metallic, 1:18 scale Lightning McQueen by Ridemakerz (plastic, not die cast). 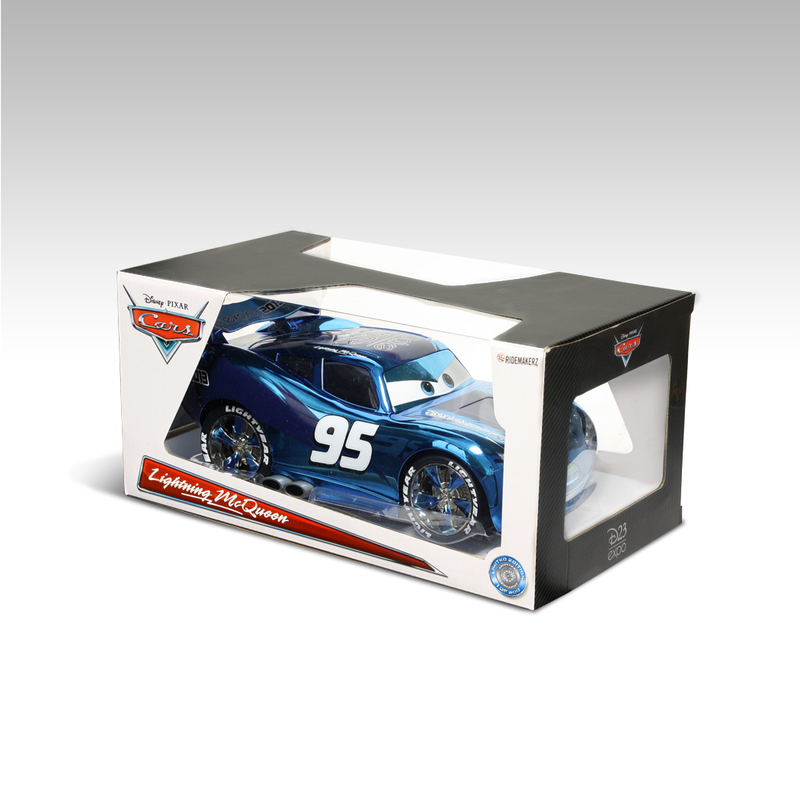 The slick-looking Lightning McQueen will be priced at $75.00 USD and will be a limited edition of 500. 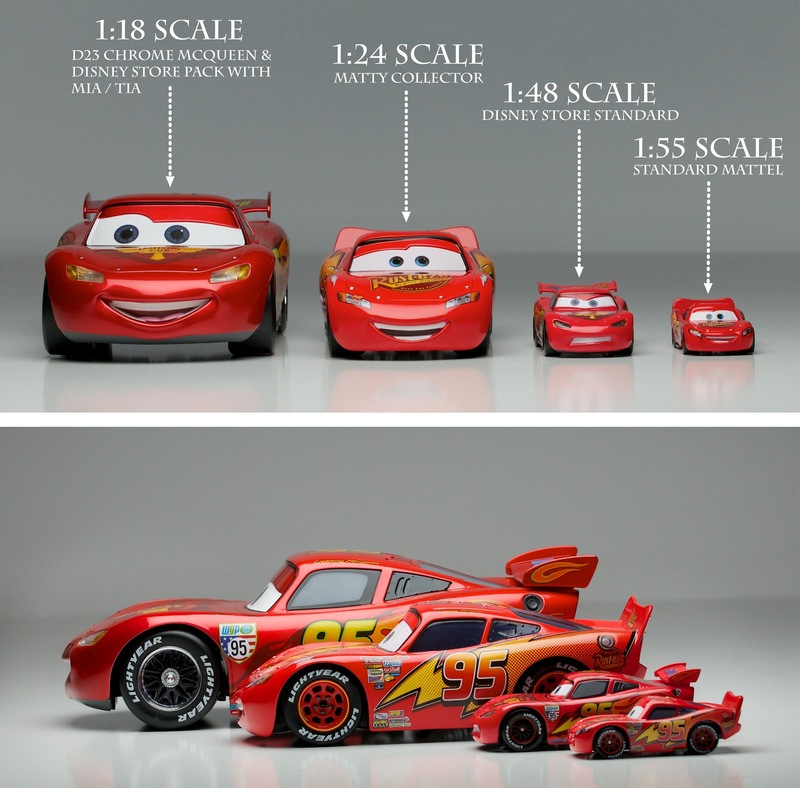 For anyone that's not familiar with the Cars scales - I have also attached a photo from my review of the 2011 D23 Expo Chrome Lightning McQueen. Finally, we are more than happy that the Cars Convoy Brothers die-cast 4-pack will be sold at this year's Expo since this set has been rumored to have been released for the last several years. The Convoy set (The King fans) is a set of four RVs which come in a highly detailed and weathered Dinoco Motor Oil box. The set will be sold at the Disney Consumer Products Pavilion in the Mattel booth for $99.95 and doesn't appear to be a limited edition set. For more details and to watch a detailed unboxing of the set of The King's biggest fans, check out this video by BluCollection.